Dorsey Alston gets on Santa’s ‘nice’ list early every year. In January, Michael Rogers makes the call to the North Pole and asks for Santa. Just to be clear, Michael calls him “Santa” on the phone because, well, he is Santa. And Santa knows who is calling because, well, he is Santa. Thus in December, Mr. & Mrs. Claus make a special early visit to the Dorsey Alston office on West Paces Ferry Road for what has become a time-honored tradition. Atlanta’s oldest and largest independently-owned and operated residential real estate company brings the Clauses to town for their agents, employees and clients. It’s a highlight of the holiday season. 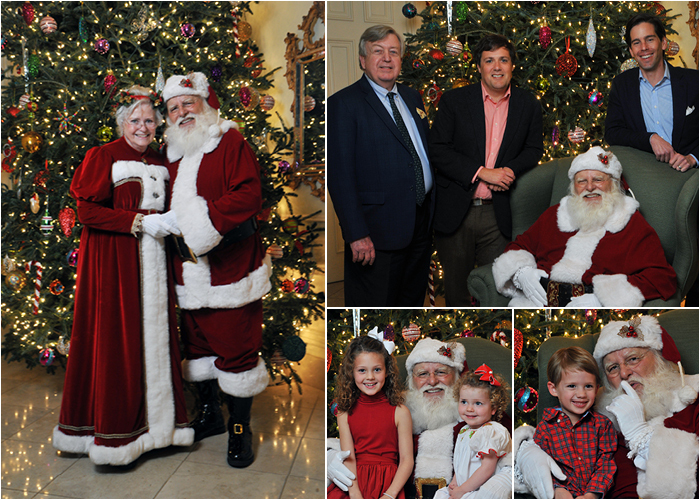 We hope you enjoy a few pictures & Merry Christmas from Dorsey Alston!